After a long wait Apple Inc unveils their latest product. “Good morning, and thank you all for coming today. We want to kick off 2010 by introducing a truly magical and revolutionary new product.” said today Apple Chief Executive Steve Jobs. The new device it is the missing link between a smartphone and a laptop – "Everyone uses a laptop and/or a smartphone. The question has arisen lately: is there room for a third category device in the middle?" It’s 0.5-inches thin, weighs just 1.5 pounds (thinner and lighter than any notebook) and have a 9.7-inch IPS display. 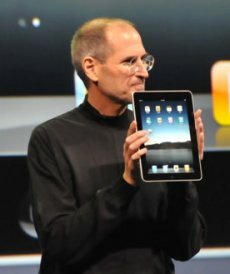 iPad is powered by apple own custom silicon chip called the A4 at 1GHz. It come with 16, 32, or 64GB of flash storage and a 10h battery. It’s got the latest in wireless: 802.11n, WiFi, and Bluetooth 2.1 + EDR. Have also: accelerometer, compass, speaker, mic, dock connector. 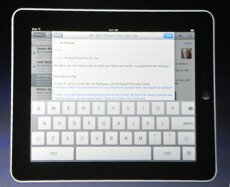 Calendar, address book, maps app with Google Maps, iTunes, full qwerty keypad are few of the applications built right into the iPad. 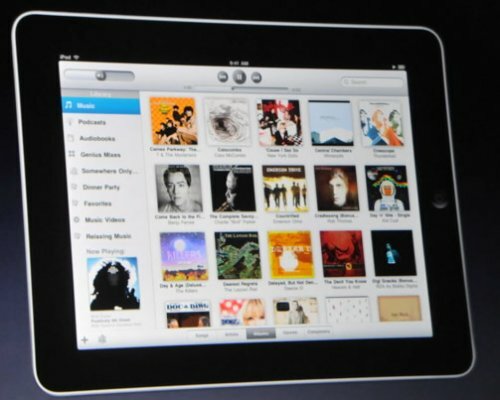 Apple customers will be able to use the iPad to watch videos, surf the Web, play games and read electronic books. As Steve Jobs said: "That’s a little overview, but there’s nothing like seeing it, so I’d like to show you now. Using this thing is remarkable – it’s so much more intimate than a laptop, and it’s so much more capable than a smartphone."